Basecamp is probably the best of the full-featured cloud-based solutions out there. 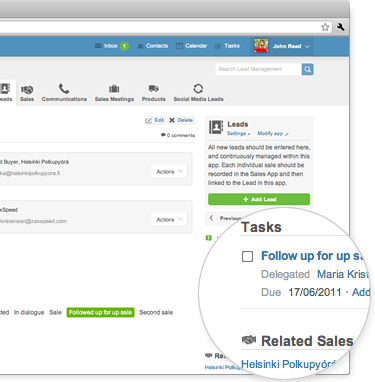 It has super great functionality including a high-powered calendar, staff/contractor management, and task management. The cost is VERY reasonable for what you get. It starts at just $20/month for 10 projects and goes up to $150/month for unlimited projects. That range is quite doable for most nonprofits when weighed against the benefits. I’ve recently discovered Teambox and started playing around with it. So far, I like the interface very much and it is very easy to use. It doesn’t have all the bells and whistles as Basecamp, but it is much less expensive; offering a free plan where you can manage up to 5 projects. 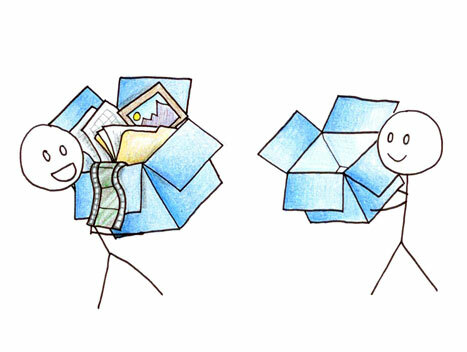 My favorite file sharing app of all time is Dropbox. It will revolutionize how you are able to access your documents. Start out with a free account and it can be set up to sync documents on your office PC, your personal Macbook, your iPhone, and your iPad automatically. Their enterprise level does come with a cost, but it is quite reasonable when you think about the fact that you won’t have to maintain a server in your office anymore. You can add as many staff members as you’d like which is great for seasonal employees who may work mainly offsite. You can also assign a unique URL to files and folders to share them with people who aren’t employees of your organization. Box is another way to easily share files. It is totally cloud-based and must be accessed via the internet. It is a great way to keep important files in one place an be able to send them to others either directly via email or via a unique URL. Does your organization’s Exchange server not like to send large files like photos and you find yourself sending multiple emails with one photo each? With Box, you can simply create a folder, put all those photos in the folder, and then email a unique URL so that the recipient can download the photo quickly and easily. For personal document and schedule management, I like Smartsheet which is like a high-powered Excel that has the ability to easily create Gantt charts and calendars. This is great for keeping track of budgets and ad schedules. I also love Springpad and Evernote. At this point, it is a personal preference which one you use, but both are great for keeping notes, webpage links and content, and files. You can group things into notebooks to easily stay organized. Also, both have extensions for Chrome and Firefox so you can easily put interesting web links directly into a notebook on the go. I have to say that I’m liking Springpad best between the two at the moment as it is more clean, chic, and has more functionality than Evernote. I’ve been an Evernote user for years, but Springpad is definitely giving them a run for their money. Flow is a task-based collaboration tool that is gaining traction. Pricing starts at just $9.95 per month per user, but the more users you have, the bigger discount you get. For example, 10 users is only $49.95 per month which is quite affordable for any nonprofit. Technology Integration at Palm Beach Opera Do you infographic?